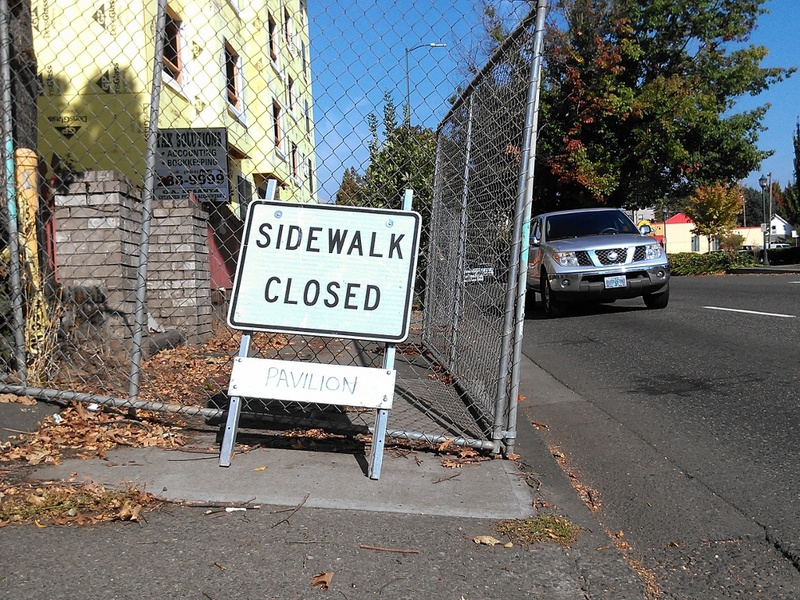 Over the past 3 years, a construction project at the corner of NE Monroe and NE Martin Luther King, Junior Boulevard (MLK) has blocked the sidewalk on the west side of MLK. This has created a situation where people can either walk 1200 feet out of direction by going to Rodney and back, cross MLK twice or just walk in the road. 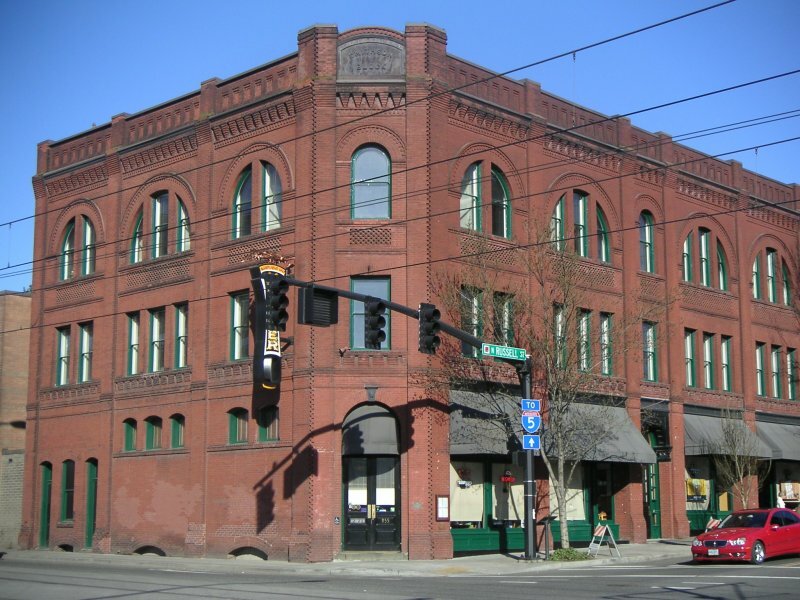 The Architectural Heritage Center is planning a Historic Albina Walking Tour that will take place mostly in Eliot Neighborhood on Sunday October 20th at 4:00 pm. The other day while walking to work I passed by the triangle where MLK and Grand come together at Hancock. 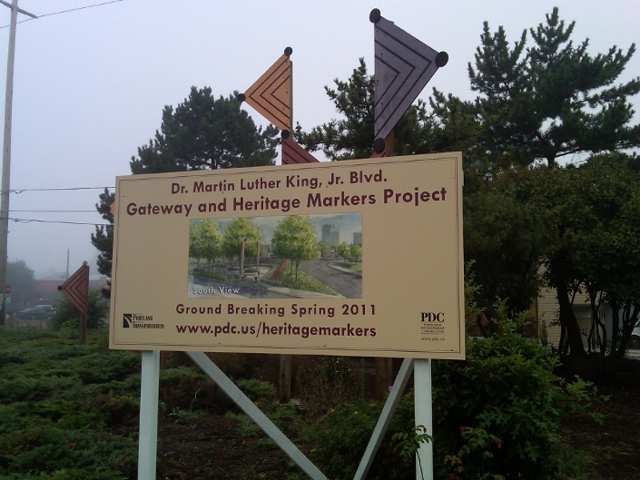 I noticed the sign announcing construction for the new gateway project to begin Spring 2011. Then I recalled all the hubabalu about the project last May. I was angry that our neighborhood lost out on a positive change due to the whining of a few. 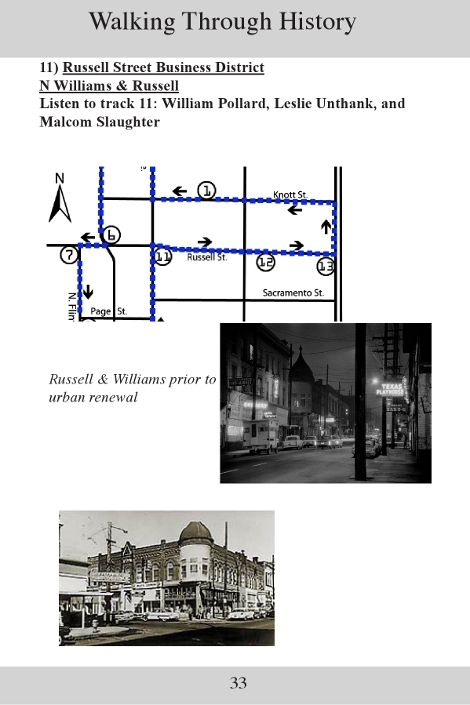 Allies of Eliot, a group of eight PSU community development students, has produced a historic walking tour of Eliot based on a series of interviews conducted by the Eliot Oral Histories Project and on community outreach conducted for the walking tour. The tour is self-guided and consists of an informational booklet with historical photos, and corresponding audio tracks taken from the interviews. Booklets and audio players will be available for checkout from Dishman Community Center, where the tour begins and ends. A condensed brochure version of the booklet and audio mp3s will be available for free download from the project website this summer. Roy Jay, longtime community resident and businessman, will serve as Grand Marshal of the walk. Date: Saturday, August 18 at Dawson Park. Activities and registration: 8 a.m.